Convenient delivery by couriers in Belgrade, Novi Sad and other cities. In all our pharmacies, you can get medicine for civilian and military insurance prescriptions. Also, we have a full range of D-list medicines. We are here for our clients, 24/7/365, even on weekends and holidays. If you have any questions you can contact our resident experts and pharmacists. 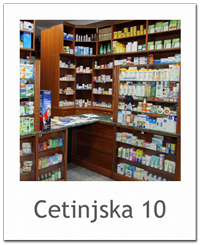 Laurus pharmacies are located on 8 locations in the middle of Belgrade and Novi Sad. Our pharmacies offer wide range of prescription and non-prescription medicines, medical supplies as well as supplements, cosmetics, baby and prenatal care products and toys. Our resident experts and pharmacist are here to assist you for any questions. Also, different promotions of famous medical brands in our offer are available every week in all of our pharmacies in Belgrade and Novi Sad. Laurus pharmacies are present for over 20 years in Belgrade and Novi Sad, offering clients professional care, wide range of prescription and non-prescription medicines, supplements and various other health-related products. 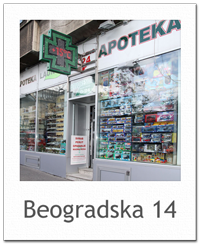 All our Belgrade pharmacies work 24/7 and in Novi Sad working hours are from 07 to 24h. We are issuing medicines for civil and military insured personnel alike, as well as D-list medicines.